Financial markets are of many types, including general and specialized; capital and money; and primary and secondary. A financial market is an aggregate of possible buyers and sellers of financial securities, commodities, and other fungible items, as well as the transactions between them. The term “financial markets” is often used to refer solely to the markets that are used to raise finance: for long-term finance, capital markets are used; for short-term finance (maturity up to one year), money markets are used. Stock markets and bond markets are two types of capital markets that provide financing through the issuing of shares of stock or the issuing of bonds, respectively. A key division within the capital markets is between the primary markets and secondary markets. While capital markets and money markets constitute the narrower definition of financial markets, other markets, such as derivatives and currency markets, are often included in the more general sense of the word. capital: Money and wealth; the means to acquire goods and services, especially in a non-barter system. Stock markets and bond markets are two types of capital markets that provide financing through the issuing of shares of stock and the issuing of bonds, respectively. A key division within the capital markets is between the primary markets and secondary markets. Newly formed (issued) securities are bought or sold in primary markets, such as during initial public offerings. Secondary markets are for the secondary trade of securities, providing a continuous and regular market for the buying and selling of securities. 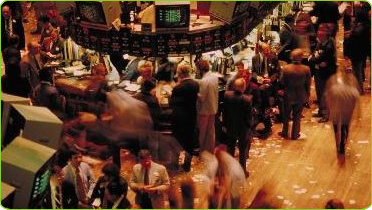 The New York Stock Exchange: The New York Stock Exchange (NYSE) is an exchange enabling a financial market. One of the main functions of financial markets is to allocate capital, matching those who have capital to those who need it. One of the main functions of financial markets is to allocate capital. Capital markets especially facilitate the raising of capital while money markets facilitate the transfer of liquidity, in both cases matching those who have capital to those who need it. Financial markets attract funds from investors and channel them to enterprises that use that capital to finance their operations and achieve growth, from startup phases to expansion–even much later in the firm’s life. Without financial markets, borrowers would have difficulty finding lenders themselves. Intermediaries such as banks help in this process. Bank deposits are a simple way in which capital is allocated from a pool of savers to businesses that want to deploy it. More complex transactions than a simple bank deposit require markets where lenders and their agents can meet borrowers and their agents, and where existing instruments can be resold. One example being a stock exchange. 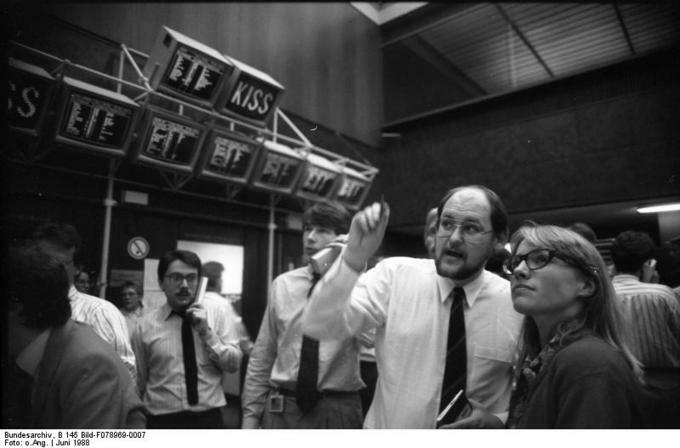 exchange: A place for conducting trading. A financial market is an aggregate of possible buyers and sellers of financial securities, commodities, and other fungible items and the transactions between them. Within the financial sector, the term “financial markets” is often used to refer just to the markets that are used to raise finance: the capital markets for long-term finance and the money markets for short-term finance (maturity up to one year). Frankfurt Bond Market: The Frankfurt Bond Market is an example of a financial market that allocates capital. One of the main functions of financial markets is to allocate capital. Capital markets especially facilitate the raising of capital while money markets facilitate the transfer of liquidity, matching those who have capital to those who need it. Financial markets attract funds from investors and channel them to enterprises that use that capital to finance their operations and achieve growth, from start-up phases to expansion–even much later in the firm’s life. Money markets allow firms to borrow funds on a short-term basis, while capital markets allow corporations to gain long-term funding to support expansion. Funds borrowed from the money markets are typically used for general operating expenses, to cover brief periods of illiquidity. When a company borrows from the primary capital markets, often the purpose is to invest in additional physical capital goods, which will be used to help increase its income. Financial capital is money used by entrepreneurs and businesses to buy what they need to make their products or provide their services. It can take many months or years before the investment generates sufficient return to pay back its cost, and hence the finance is long-term. Long-term capital can come in the form of shared capital, mortgage loans, and venture capital, among other types. 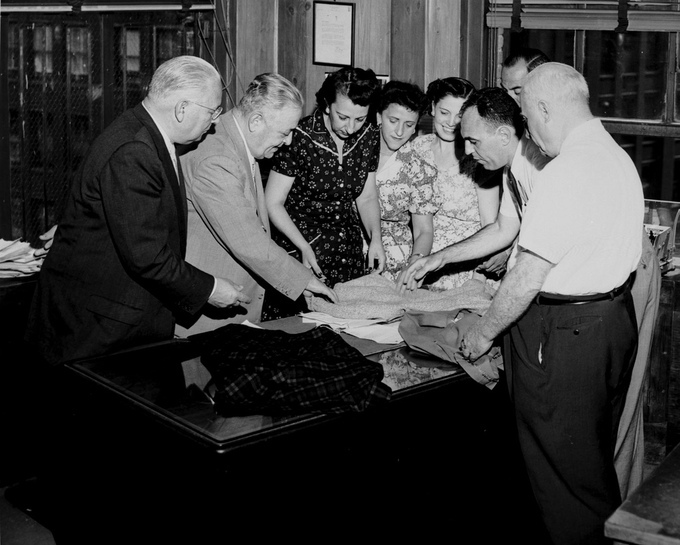 Without financial markets, borrowers would have difficulty finding lenders themselves. Intermediaries such as banks help in this process. Banks take deposits from those who have money to save. Many individuals are not aware that they are lenders providing capital, but many do lend money at least indirectly, for example when they put money in a savings account or contribute to a pension. Intermediaries like banks can then lend money from this pool of deposited money in the form of loans to those who seek to borrow. More complex transactions than a simple bank deposit require markets where lenders and their agents can meet borrowers and their agents, and where existing borrowing or lending commitments can be sold on to other parties. One example is the stock exchange, where a company can raise money by selling ownership shares to investors and its existing shares can be bought or sold. Financial markets can provide feedback to management by showing signals of the demand to supply funds to that enterprise. Financial markets function through the interaction of buyers and sellers that determine the price of traded assets. Financial markets provide a sign for the allocation of funds in the economy based on the demand and supply through the mechanism called the price discovery process. Management often has imperfect information about its own business. One way in which managers try to gain feedback on their business is by conducting market research. Financial markets can also provide feedback. These various audiences can provide feedback to management, such as when the stock price rises or declines. However, given that the stock market is prone to oscillation, this feedback can vary in its usefulness for managers making decisions. More complex transactions than a simple bank deposit require markets where lenders and their agents can meet borrowers and their agents, and where existing instruments can be resold, an example being a stock exchange. Management often has imperfect information about its own business, especially its business’ value in the outside world. One way in which managers try to gain feedback on their business is by conducting market research to discover what people want, need, or believe. Once that research is completed, it can be used to determine how to market various products. Feedback to Management: Here a group may be providing feedback to management. This can be done at a much larger scale today. Financial markets can also provide feedback, demonstrating how potential shareholders view the financial value of one company as compared to its competitors. For example, investors who hold shares in multiple firms in a sector may have more information about the prospects in that sector than the manager of one firm in that sector. In economics and contract theory, information asymmetry deals with the study of decisions in transactions where one party has more or better information than the other, creating an imbalance of power. Financial economists have applied information asymmetry in studies of differentially informed financial market participants (insiders, stock analysts, investors, among others). These various audiences can provide feedback to management, such as when the stock price rises or declines. That said, the stock market is an example of a system prone to oscillation. It is governed by positive and negative feedback resulting from the cognitive and emotional factors among market participants. This may be the result of data-based fundamental analysis or more sentiment-based analysis, meaning that the feedback from the stock market can vary in its usefulness for mangers making short-term and long-term decisions. A market trend is a putative tendency of a financial market to move in a particular direction over time. 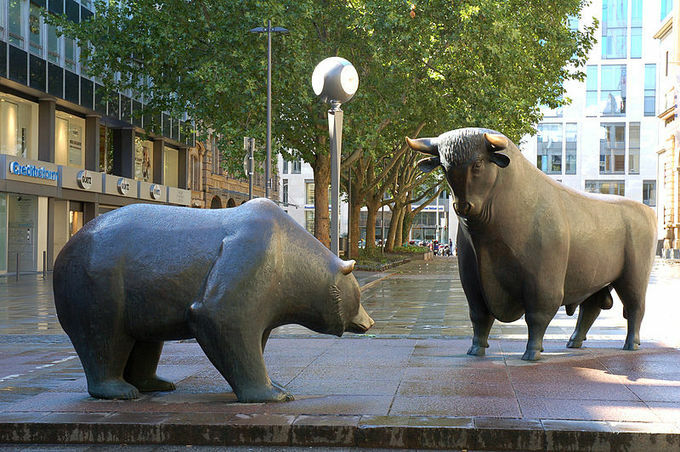 The terms bull market and bear market describe upward and downward market trends, respectively, and can be used to describe either the market as a whole or specific sectors and securities. A secular market trend is a long-term trend that lasts 5 to 25 years and consists of a series of primary trends. A primary trend has broad support throughout the entire market and lasts for a year or more. There are also trends in new ways of transacting in financial markets, for example electronic trading innovations. Algorithmic trading allows trading orders to be entered with an algorithm deciding on aspects of the order. Stock market data systems have also changed drastically over the years. Additionally, new markets are emerging, such as private secondary markets allowing trading of unregistered and private company securities. putative: Commonly believed or deemed to be the case; accepted by supposition rather than as a result of proof. A market trend is a putative tendency of a financial market to move in a particular direction over time. These trends are classified as secular for long-term frames, primary for medium-term frames, and secondary for short-term frames. Traders identify market trends using technical analysis, a framework which characterizes market trends as predictable price tendencies when price reaches support and resistance levels, varying over time. Bull and Bear. : The bull and bear represent the two major forms of market trend. A secular market trend is a long-term trend that lasts 5 to 25 years and consists of a series of primary trends. A secular bear market consists of smaller bull markets and larger bear markets, while a secular bull market consists of larger bull markets and smaller bear markets. In a secular bull market, the prevailing trend is “bullish” or upward-moving. The United States stock market was described as being in a secular bull market from about 1983 to 2000, with brief upsets including the crash of 1987 and the dot-com bust of 2000 to 2002. In a secular bear market, the prevailing trend is “bearish” or downward-moving. An example of a secular bear market was seen in gold during the period between January 1980 to June 1999, culminating with the Brown Bottom. During this period, the nominal gold price fell from a high of $850/oz ($30/g) to a low of $253/oz ($9/g), and became part of the Great Commodities Depression. A bull market is associated with increasing investor confidence, and increased investing in anticipation of future price increases. A bullish trend in the stock market often begins before the general economy shows clear signs of recovery. A market top (or market high) is usually not a dramatic event. The market has simply reached the highest point that it will for some time. A decline then follows, usually gradually at first and later with more rapidity. William J. O’Neil and company reported that since the 1950s, a market top is characterized by three to five distribution days in a major market index occurring within a relatively short period of time. Distribution is a decline in price with higher volume than the preceding session. A market bottom is a trend reversal, the end of a market downturn, and precedes the beginning of an upward moving trend (bull market). It is very difficult to identify a bottom while it is occurring. The upturn following a decline is often short-lived and prices might resume their decline. This would bring a loss for the investor who purchased stock during a misperceived or “false” market bottom.